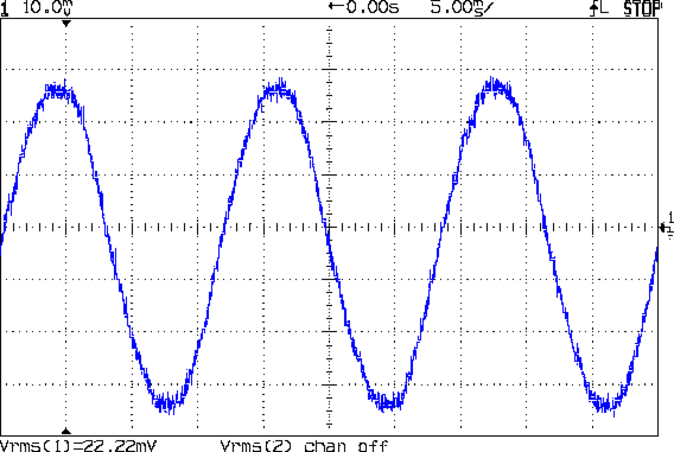 That’s a Tektronix CT-5 current transformer, rated for 1 kA between -3 dB points at 0.5 Hz and 20 MHz, with an A6302 20 A probe snapped around its 1000:1 output winding. The eBay deal didn’t include the 015-0190-00 1000:1 bucking coil that lets you measure small AC signals against high DC current; if you happen to find one for considerably less than the $100 I was unwilling to pay, let me know. I doubt I’ll ever need it, but ya never know. 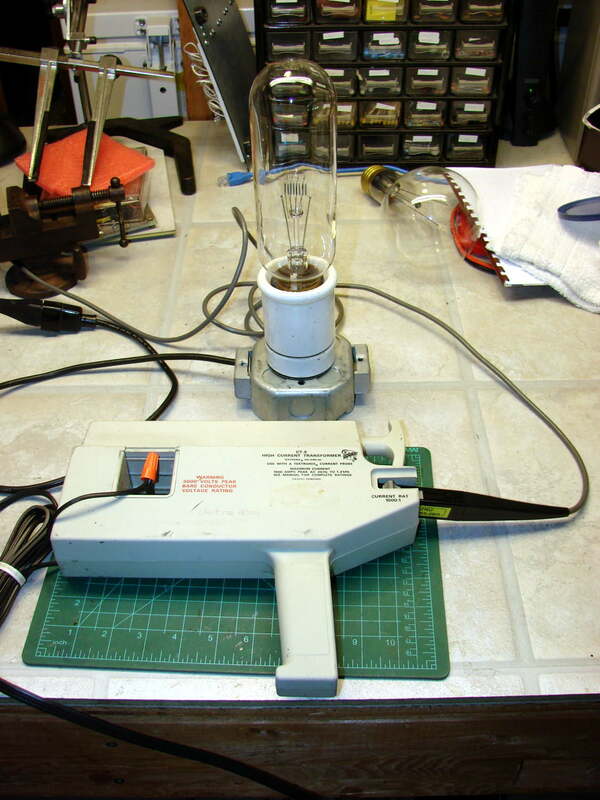 Lacking a calibrated current source with sufficient moxie to exercise the thing, I settled for a 500 W incandescent bulb: 514 W and 4.38 A rms, according to a Kill-A-Watt meter off to the left. The 22.22 mVrms corresponds to 4.4 A = (22.22 / 10) * 0.002 * 1000. 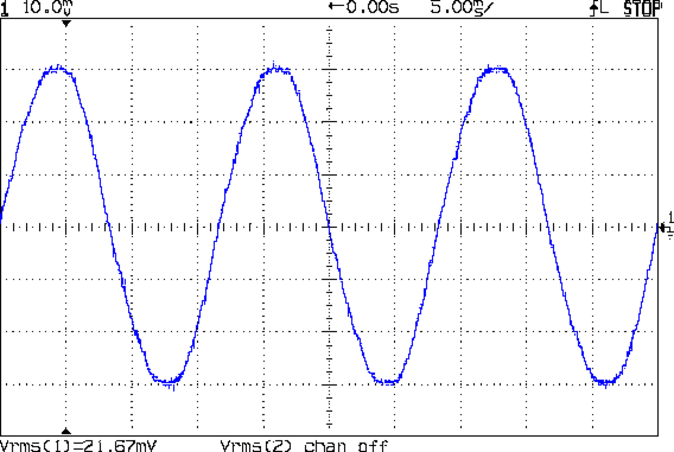 Again, the scope’s 21.67 mVrms works out to 4.3 A = (21.67 / 10) * 0.1 A * 20.